For many overweight men and women, finding the best walking shoes for overweight walkers can be an uphill task. 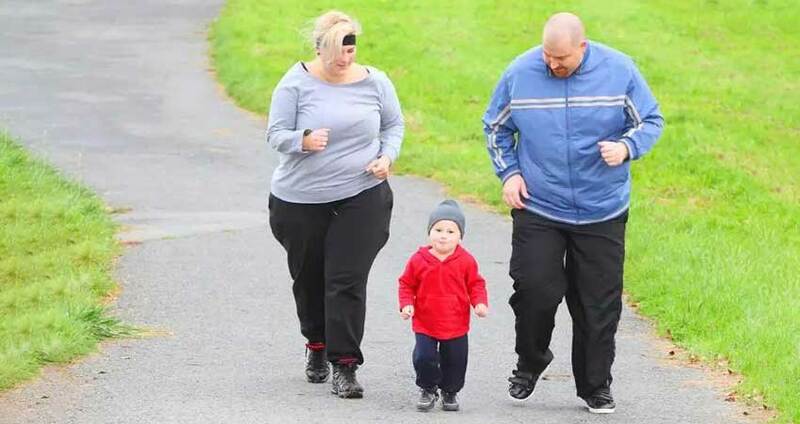 This is more so for individuals who have made walking their choice of exercise as a way of keeping fit. For overweight walker’s, selection of the right pair of shoes will go a long way in ensuring that foot and knee problems that cause trauma on the body are alleviated. It is therefore very important for you to take the right step in improving your health by choosing the right shoes for the step. I have compiled a list of top quality shoes that are recommended for both men and women who are overweight. Check out these reviews and buying guides to help you make the right purchase decision. With the above considerations in mind, you are now ready to purchase a great pair of walking shoes from our collection below. For most men, a solid pair of shoes to serve his daily formal and casual duties is ideal. The Rockport Men’s is an awesome multipurpose shoe pair for any occasion. It is practical for all-day comfort. It has an official look with the practicability of a comfortable walking shoe. The Rockport Men’s Eureka Walking Shoes are a comfortable pair of shoes due to the generous amount of cushioning in the shoes. For starters, the collar and tongue of the shoes are well padded. The interiors of the shoe are well cushioned. This ensures that increased comfort. The shoes are also fitted with rubber soles to further enhance shock absorption. Fitted with a removable foam footbed, the shoes can be easily aired as you can remove the footbed for washing and airing. Additionally, the interiors of the shoes have a mesh lining that helps in breathability easily absorbs sweat and moisture. This eliminates bad odors that may emanate from prolonged use and in hot temperatures. The Rockport Men’s Eureka Walking Shoe is designed to suit multiple occasions. It is made of leather at the top giving a semi-casual look. The shoes can be worn for a sporty occasion or with a semi-casual jacket for the office assignment. Its full rugged, grained leather look is the perfect fashion statement for any man. Rigid upper leather not suitable for athletic shoes. Leather can sometimes stretch and lose its shape over time. For a man looking for the rugged look, then the Rockport Chranson is the shoe pair is the pair for you. With its amazingly stylish looks, the shoes are light and flexible and capable of keeping your feet protected in many environments. This is one shoe pair highly recommended for men with orthopedic issues. The shoes are made using the latest ADIPRENE technology which provides support to the heels. The outsoles are biomechanically designed to improve stability when walking. Without compromising on the foot movement, the upper materials of the shoes allow flexing. The enhanced arch support of the shoes is a sure bet for anyone who uses them for long hours standing or walking. The shoes are made of lightweight material that leaves your feet feeling weightlessness. The rubber synthetic soles provide the flexibility needed for any walking shoes. Be sure to Rock the Rockport Men’s We are RockinChranson Walking Shoe for your casual of the semi-formal event. The stylish leather design with the sporty features makes it a sure win for any occasion. The shoes have refined black edges give you a pair of walking shoes that not only looks great but feels even greater. This amazing shoe features stitching details and contrasting overlays that are enviable of many designs. Wide heel, easily slips easily off for people with narrow heels. For durability and comfort, the New Balance Men’s MW411v2 Walking Shoe pair is your best pick. The shoes offer all-around support and comfortability. The shoes are light and flexible, ideal for the man who loves to walk regularly. We highly recommend this design because of its extra cushioning, super lightweight and flexibility. Additionally, the shoes have leather perforations to allow breathing and removable insoles that can easily be removed and washed. The walking shoes are comfortable because of the generous amount of cushioning in the shoes. The plush footbeds on the inside of the shoes offer enhanced comfort. The solid sole made specifically with a shock absorption system in the midsole further absorb any shock from impacts to the ground. The shoe’s insoles are made of foam. The outsole and midsole are made using modern technology which utilizes super-light rubber compounds reducing the net weight. A desirable advantage when it comes to desirable shoes for walking. The shoes are lined with a seamless, soft mesh lining. This is an incredible walking shoe for overweight men that is very comfortable. Apart from its offering support and comfort, the pair boasts of increased traction. When it comes to a shoe that offers superior traction this is it. The Reebok Men’s Work N Cushion 2.0 Walking Shoe is fitted with an oil and slip resistant sole. The slanted heel of the shoe provides the much-desired stability. This is a comfortable pair of shoes due to the generous amount of cushioning in the shoes. The uppers are well padded to offer enhanced comfort. They have been made in a way that the soles are slightly slanted to the side. This greatly improves stability for the walker. The Asics Men’s GEL-Tech Walker Neo 4 Walking Shoe is a comfortable shoe pair made with the avid walker in mind. The shoes boast of comfortability. They have heels infused with gel to provide extra cushioning minimizing the impact on the foot. The soles have been leveled making them slightly slanted at the heel. This greatly improves stability for the walker. Impact absorption goes a long way in improving comfortability of shoes. The Asics Men’s GEL-Tech Walker Neo 4 Walking Shoe are fitted with gel cushions in the middle and the rear of the shoes. For maximum comfort, the shoes heels are Gel infused using the GEL based technology. The tongue is heavily padded to avoid friction when the shoelaces are tied. A plush footbed and midsole further decrease impact on the heels. The shoes have an internal heel counter that gives stability when you are walking. By using the AHAR-enhanced technology, ASICS has ensured that the rubber outsole is extremely durable. Asics have upped their game in this new design that features the gel cushioning systems at the heels and forefoot not forgetting gender-specific midsole systems for that extra comfort. Though not flashy, the simple form and design give the look of an everyday shoe. The shoes can be worn as both a casual shoe and a sports shoe. For maximum comfort, the shoes are fitted with the Gender specific midsoles which are an advantage when looking for women’s walking shoes. The gel cushioning at the heel and forefront provide needed support in terms of minimizing the impact on the foot. For serious walkers the New Balance Women’s WW877 Walking Shoe pair of choice. For the warm days, you need not be worried, as the shoes have a mesh to increase breathability. However not to compromise on the comfortability, the interiors are well padded to absorb heavy impact. New Balance Women’s WW877 Walking Shoes are definitely a recommended brand for heavier women with wider feet. The New Balance Women’s WW877 Walking Shoe pair is fitted with high arches which aid in relieving the pressure on the ankle joints. The special sole design is specifically made to increase cushioning at the base of the foot making it ideal for people with joint issues. The shoes have been manufactured using super light material which gives you the feeling of weightlessness on the feet, increasing comfortability. Padded tongue and collar provide comfort and excellent support. For the woman who wants to have comfortable sneakers with maximum breathability. The ABZORB technology used in making the shoes ensures that your feet do not stink from sweating. This is the shoe for you. With its traditional lace-up system, a snug fit is ensured. Comfortability at its best is ensured as the collar, tongue, and heel have a nice padding giving extra comfort. The shoe is made of durable material lasting for several years without the slightest of trouble, giving you a run for your money. To maximize of the comfortability of the shoes, we have ensured that the interior of the shoes is adequate with enough padding at the collar, and tongue. The heels are also well padded. If you are an overweight woman suffering from bunions, hammertoes, and other conditions, this walking shoe is best suited for you. The walking shoe is recommended by many doctors as ideal for overweight women. PDRB triple in its midsole prevents the ankle from rolling over the side increasing stability. This is complemented by the slip resistant outsole making you confident with each stride. Just like in the selection of well-fitting clothes, selection of a good pair of walking shoes is paramount for the general well-being of the body. Choosing the proper walking shoes ensures that your body keeps healthy and your joints are properly protected from harm. Because of the difference in body structures in Men and women, there are specific considerations on the most appropriate walking shoes to suit their needs. We examine the different needs of men and women. Different women have different types of arches. Thus it is important for any woman to acquire shoes that are structured for her arch type. If you have a flat arch, it is advisable to get a pair of shoes with a wide base. Additionally, ensure that the shoes you select are soft on the outside but are rigid enough on the inside to provide the required stability. For women with a normal arch, a pair of shoe that provide flexibility and adequately support the arch are best. Ensure you get a pair of shoe that is properly cushioned at the top to prevent blistering. However, for the woman with a high arch, a pair with just a bit of cushioning fits best. The form of pronation one has is important when choosing the most appropriate pair of walking shoes. As a woman with an over the pronated foot, you should consider selecting shoes that provide excellent support. Another consideration should be a pair of shoes, with maximum support to the arch and a thick heel. Consider getting flexible shoes with a toe box, if your foot has a normal pronation. If you have under pronation, it is pertinent for you to select a pair of shoes that has maximum flexibility and a very flexible arch. Most importantly a well-padded pair of shoes is best for you. For best fitting, women are advised to ensure that they get professional help in determining the width and size of their shoes. The best fitting is determined by the width largest foot. It is also vital to know the right size to have the best-fit shoe. Another determinant factor in the selection of the appropriate walking shoes for women is their weight. Needless to say, women with more weight need more support and cushioning in their walking shoes as compared to women with less weight. Because of the nature of men’s activities, their walking shoe needs are basically different as compared to the needs of women. Their shoes need to have minimum cushioning but very flexible. Compared to women’s shoes, men’s shoes require adequate toe room to allow the toes to flex without being hindered. We now examine the various considerations. A man’s walking shoes require low, reinforced heels and need to be constructed with a slight angle slant. This stabilizes the foot with every step. The difference between walking and running shoes is the need for cushioning. So ensure to select shoes with less padding for walking as compared to the need for more padding with running shoes. When walking the foot naturally flexes more as compared to how much it flexes when walking. Thus the selection of a very flexible pair of shoes is paramount. The important areas that need to be looked at when checking for flexibility of the shoes are the soles and the area of the forefoot on the outer sole. A well-flexed shoe pair prevents constriction which can cause foot and shin pain. The type of materials that a pair of walking shoes is important in the determination of walking shoes. You should select shoes that are light on the feet. However, the shoes must be made of a durable sturdy material to give your feet adequate support to your feet. Breathability is also paramount when you select a pair of shoes for your walking needs. A leather and synthetic mesh combination are best for walking shoes. While regular walking may be a very good way of dramatically improving your well-being, purchase of the proper shoe type for your feet is paramount in ensuring that you protect your feet from injuries. The first step is making sure that you get proper measurement for your feet. The best time to measure ones’ feet is at in the evening after the day’s activities. This is when the feet are at their largest. Next is to determine your needs before selecting a shoe pair that best suits your needs. The best walking shoes for overweight walkers must provide four basic components; Comfort, Protection and Support, Durability and Endurance.